Vintage Fong Brothers’/Tropi-Cal design by Danny Ho Fong, circa 1966. Powder-coated steel frame with woven arurog. The Wave Collection epitomizes mid-century California design. The companion chaise lounge is part of the permanent collection at The Museum of Modern Art in New York.Danny Ho Fong had a vision of creating furniture with a contemporary, casual design aesthetic. He utilized rattan and wicker to create modern forms that other designers, like the Eames, were achieving with plastics and bent wood. This new approach turned what had previously been considered “ethnic” furniture into sleek, elegant pieces that echoed the casual-glam design movement of California during the 1950’s and 60’s. 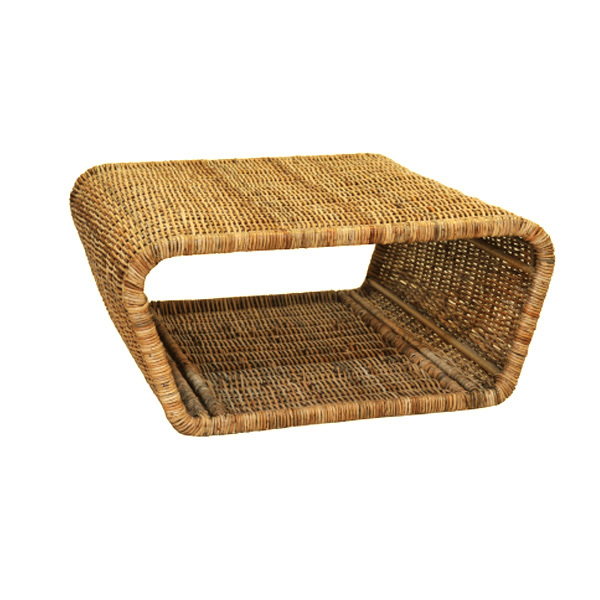 *Also available in a resin wicker weave for outdoor use. View the WAVE INDOOR collection.